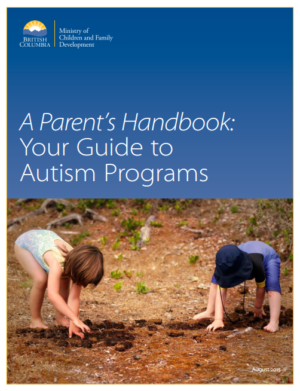 A Parent’s Handbook: Your Guide to Autism Programs has just been released by MCFD. It describes Autism Programs, including the Autism Funding process and other useful information for both parents and service providers. The handbook is available through the MCFD website or can be mailed to you by MCFD. Call the Autism Funding Branch toll-free at 1-877-777-3530 to request a copy. This entry was posted in News on September 10, 2015 by ACT.